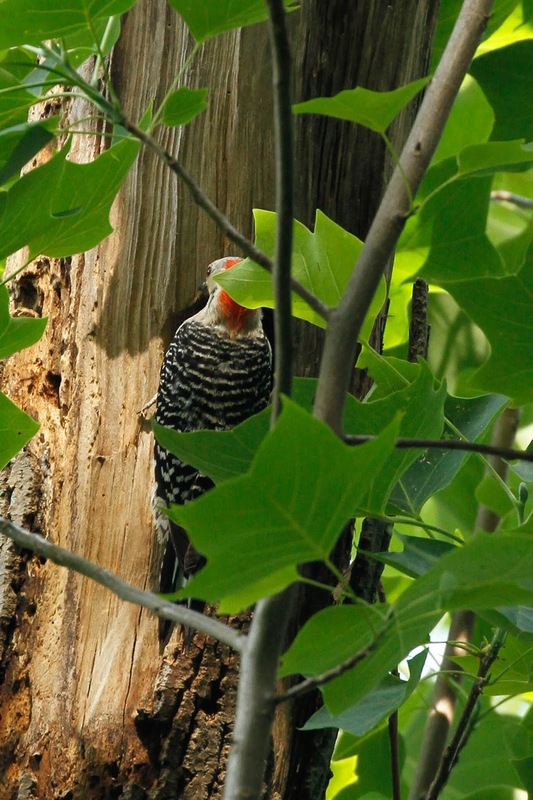 The second Philadelphia Breeding Bird Census is taking place this year. 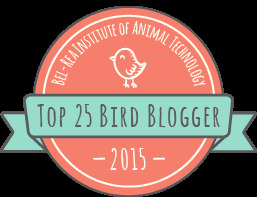 It is coordinated by the DVOC to try to document the birds that breed in the city. My section, as usual is Pennypack Park between Verree and Pine Road. I do the same area for the Christmas Bird Count and the Mid-winter Bird Census too. 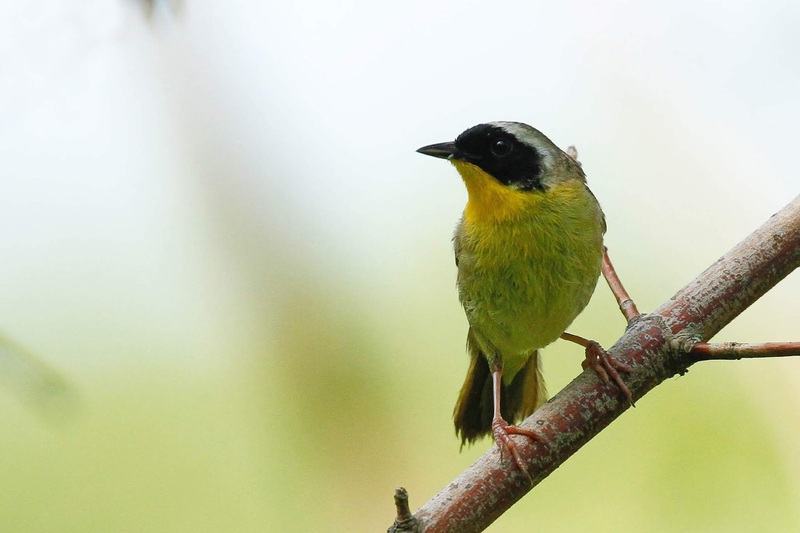 We not only count the birds but also document if they are building nests, on eggs, have chicks or other breeding activity. I think I did pretty good today with 32 species. Mostly Catbirds, Robins and Wood Thrushes. They are all easy to find by listening. 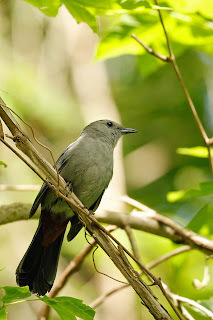 Catbirds just cackle and meow all day long. 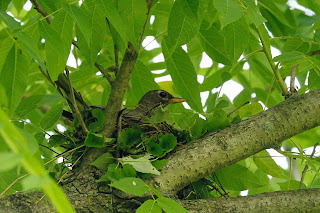 Robins nests are pretty easy to find. I also managed to find a Red-bellied Woodpecker nest. Here is Mom getting ready to go inside to feed the babies. 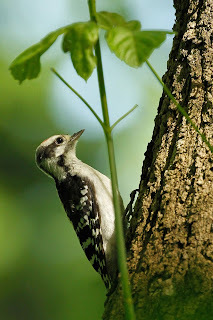 The Downy Woodpeckers have already fledged and are out and about following Mom and Dad around the woods. Here is one of the little fellows. Look at his cute little beak - not ready to hammer away at the trees quite yet. 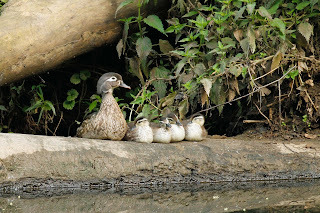 I was getting worried about where all of the Wood Ducks were but finally found 2 Moms with babies down by the dam. Here is one brood resting on a log. There aren't many warblers nesting in our woods. I managed to find a few Yellow Warblers and this Common Yellowthroat over by Fox Chase farm. I will head back later today to see if I can find any other birds at dusk.